​All classes are based on the School’s Philosophy of Learning Through Play. The 2.5 year old to the 4 year old classes and TK include a special music instructor once a week (Click here for sample music class summary). The 3 year old to the 4 year old classes and TK also include a yoga instructor once a week. All classes have seasonal, age appropriate field trips and guest speakers. 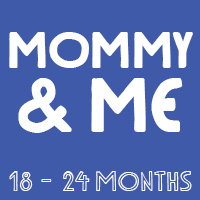 For children 18 months to 2 years old with one grown-up/caregiver (ex. parent, grandparent, nanny). Three sessions are held each year and are an excellent introduction for children to a structured learning environment. 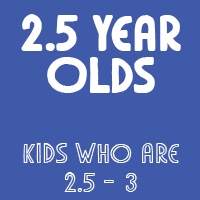 For children 2.5 to 3 years old. The class concentrates on the basic social skills needed in a classroom environment and separation from parents, and uses a curriculum based on shapes and colors. 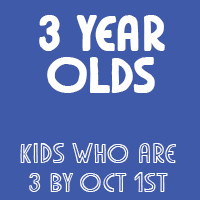 For children turning 3 by October 1st. This class uses a curriculum concentrating on beginning geometry (empty/full, half/whole), language skills, colors, and shapes. Optional 4th day (Thursdays) can be added. Lunch is available till 12:30, along with Enrichments. 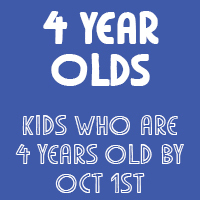 For children who will be 4 years old by October 1st. This class is specifically designed to prepare children for the Kindergarten experience with a curriculum that emphasizes letters, numbers, language skills, and pre-reading. Optional 5th day (Fri) can be added. 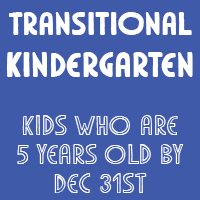 ​This class is for the young 5 (child must be 5 years old by December 31) who would benefit from another year to mature socially and academically before entering traditional Kindergarten. The curriculum includes pre-reading skills, enhancing communication, listening, and interpersonal skills, the development of fine motor ability, and introducing basic math concepts. (Monday - Thursday) from 12:30-3 pm. For more information about the STEAM program, please contact Jane Dalton at janemdalton@optonline.net or Deirdre Tarrant at director@glenrockcoop.org. We typically run 3 sessions of Enrichment Classes through the school year. Each class is $150 for the full 8 week session. If you’ve already paid for lunch on that particular day and wish to add an enrichment class, the cost is $90 per class. With the exception of the Friday Books & Cooks class, classes run during the lunch hour (11:15-12:30), so be sure to send a parent-packed (nut free) lunch and drink for your child. Books & Cooks will encourage your child’s love for reading along with introducing measurements, kitchen safety and simple recipe directions. Each week your child will be introduced to a different story book and then create recipes based on the theme of the week. Led by Mrs. Reichert and Mrs. Moscarello. In this fun-filled literature-based building class, students will have an opportunity to explore and create with various materials such as wooden unit blocks, cuisenaire rods, and Lincoln Logs while developing mathematical, spatial, and social skills. For example, students will listen to the story The Three Little Pigs and will use their inspiration and imagination to work on constructing a sturdy structure. Led by Mrs. Reiman and Mrs. Walsh. Yoga benefits us all, big and small! Why not start young? Yoga physically enhances coordination, gross motor skills, flexibility, strength, and body awareness. Yoga also improves mindfulness, concentration, and an overall sense of calm. A certified Children’s Yoga Instructor, Ms. Roughgarden will guide the children through stories using various yoga poses.